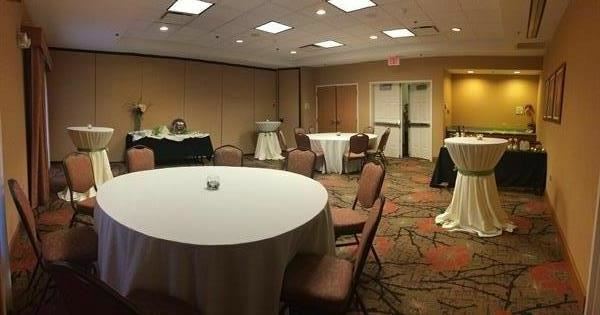 As one of the top Tinley Park, IL hotels to hold your meetings and/or groups, the Hilton Garden Inn Chicago/Tinley Park is ready to serve you. We feature over 1,500 sq.ft. of flexible meeting space, capable of holding up to 150 people theatre style. Our experienced sales team can accommodate your special group requests, contact us today to find out how. 1350 sq ft - we can accommodate up to 90 guests with a banquet style set up. 375 sq ft. Our conference table can accommodate up to 14 guests. 400 sq ft. Our conference table can accommodate up to 10 guests. There is also room to add additional seating around the room.